Southeast of Xingan County, is Lingqu, the first man-made canal in the world, as old as the Great Wall, and now a popular wedding place for local people. It costs RMB 3 to get there from the county center by pedicab. 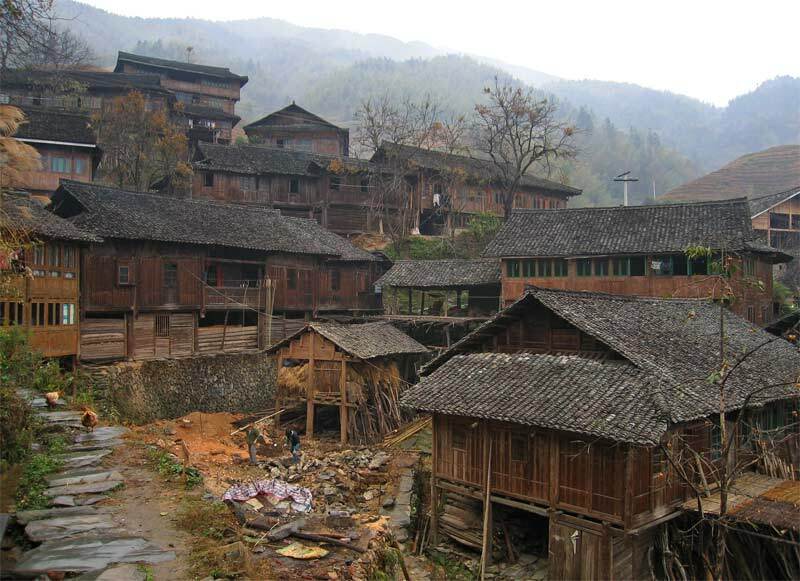 The four connected bridges, Jinshicun scholars' village, Qinjia Dayuan - an ancient castle which protected the village people in the anti-Japanese war, and the Qin dynasty atmosphere of Xingan are also famous here. Recommended dishes include mifen (rice noodles) and the local variety of zongzi (a glutinous rice dumpling wrapped in lotus leaves). Gingko fruit, oranges and grapes are excellent in Xingan. 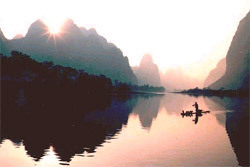 Take a plane, or train, or long-distance bus at Guangzhou to get to Guilin. 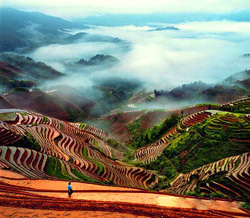 Then take train 2514 departing from Guilin at 8:16am to get to Xingan at around 9:30am. 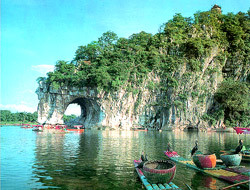 Driving: Take Guihuang Highway at Guilin to get to Xingan. It takes less than 1h. Lodging: There are hotels of various classes. 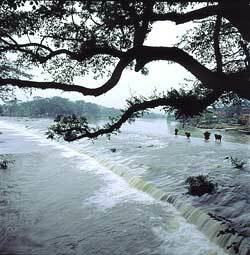 Lingqu Hotel has a pleasant surroundings and offers a 50 per cent discount and free entrance to Lingqu in the off season. RMB 240 per night for a standard room. 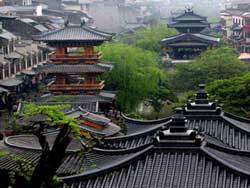 Further from Lingqu there are many inns (RMB 30-80 per night), and hostels with better facilities and surroundings (RMB 70-200).